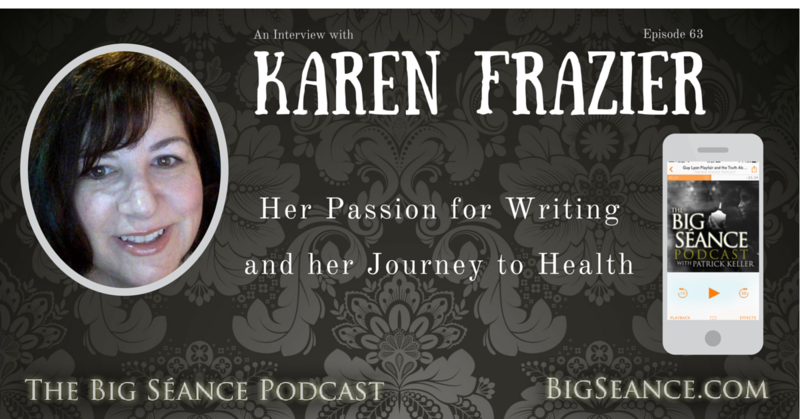 Karen Frazier is the author of five paranormal/metaphysical books: Avalanche of Spirits: The Ghosts of Wellington, Dancing with the Afterlife, Pioneer Spirits: Investigating the Haunted Lewis County Historical Museum, Crystals for Healing, and The Permanents: Spirits of the Old Wheeler Hotel. She also co-wrote Lessons of Many Lives with hypnotherapist Melissa Watts. As a professional writer, Karen has ghost written a number of books one penned hundreds of articles about a variety of topics. She's also a published author in Chicken Soup for the Soul: Find Your Inner Strength! and Chicken Soup for the Soul: Think Possible! Karen is a columnist for Paranormal Underground Magazine. She currently writes two columns for the magazine: Dream Interpretation and Metaphysics and Energy Healing. Karen also co-hosts Paranormal Underground Radio In the Dark on MixLr. She formerly served as Paranormal Underground's Managing Editor. A frequent guest in media discussing the results of her afterlife research, Karen has appeared on the Travel Channel's Mysteries at the Museum, spoken at regional conferences including the Oregon Ghost Conference, Haunting for Hope, Port Gamble Ghost Conference, and Paracon Seattle, and appeared on numerous radio shows. She teaches classes in energy healing, reiki, and psychic development. Karen is an intuitive energy healer who is a Usui Reiki Ryoho Master/Teacher (Shinpiden) and a certified animal Usui Reiki Ryoho practitioner, as well as an ordained minister for the International Metaphysical Ministry. She has also studied numerous energy and alternative healing techniques including quantum touch, aromatherapy, sound healing, metaphysical healing, and crystal healing. She holds a Bachelor of Metaphysical Science (B.MSc) and a Masters of Metaphysical Science (M.MSc) from University of Metaphysics and a PhD in Metaphysical Parapsychology from the University of Sedona. She is currently working towards her Doctor of Divinity (DD) specializing in Spiritual Healing at University of Metaphysics. Karen volunteered as a Guardian Ad Litem for abused and neglected children, in local classrooms as a music tutor, in the phone room for the local crisis clinic, and at the (haunted) Lewis County Historical Museum. In her personal life she enjoys cooking, hiking, yoga, Nia, tribal belly dance, and making music.